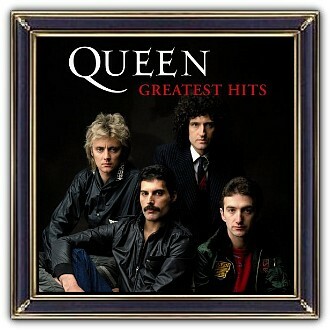 album art - Queen Productions, Ltd.
Queen are a British rock band, formed in London in 1970. 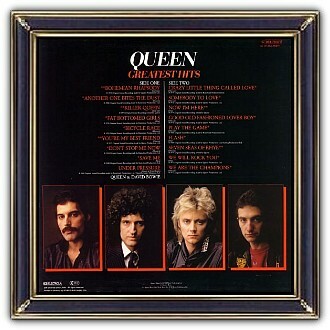 The classic line-up was Freddie Mercury (lead vocals, piano), Brian May (guitar, vocals), Roger Taylor (drums, vocals), and John Deacon (bass guitar). 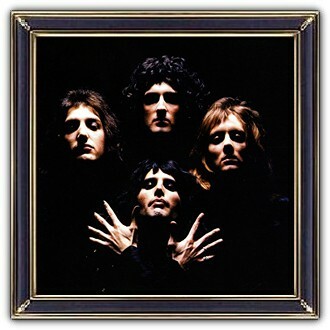 Queen's earliest works were influenced by progressive rock, hard rock and heavy metal, but the band became more radio-friendly by incorporating further styles, such as arena rock and pop rock. The releases of Sheer Heart Attack (1974) and A Night at the Opera (1975) brought them international success. 'Bohemian Rhapsody' was an international hit and popularised the music video. Mercury died of AIDS in 1991 and Deacon retired in 1997. Since then, May and Taylor have occasionally performed together, including with Paul Rodgers (2004–09) and with Adam Lambert (since 2011).